Platinum Plumbing and Heating - Central Heating Engineer based in Walsall, West Midlands. 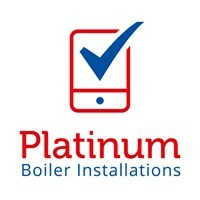 Hi im Matt and I own Platinum Boiler Installations, we are a boiler installation only company who solely specialises in new boiler installations. We are based in Aldridge and work within a 20 mile radius. I have been running the business for 5 years now and have recently re branded the and just specialise in boiler installations. I first qualified in 2005 after serving my apprenticeship and gained 9 years experience before starting up my own business. We are a family run, local business who wants to serve local people. We are very proud to be Worcester Bosch accredited installers and can offer our customers a massive 10yr guarantee on all Worcester Bosch products. We carry out in depth surveys and give you all the information and knowledge required for you to make an informed decision regarding your new boiler installation. If you would like further information or just some advice on all things boiler related please check out our website, e-mail or ring me and I will be more than happy to help you out. tank you for taking the time to read about me and my business, Matt.